The Sprimo looks like a portable Bluetooth speaker, but it delivers you fresh and clean air instead of audio. Like the design? 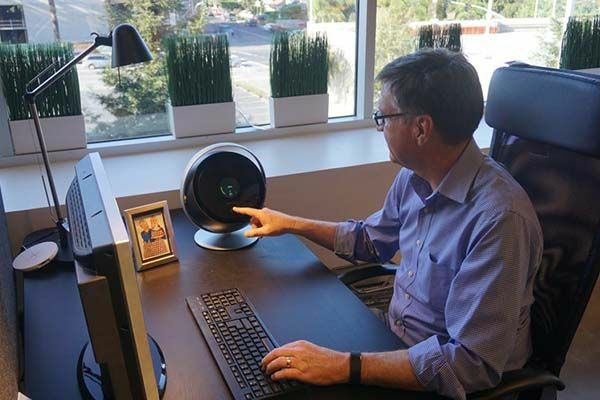 Let’s go on for the smart air purifier. 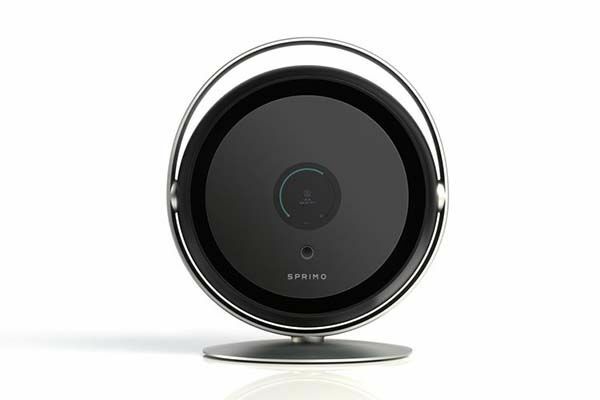 The Sprimo is an advanced and high-performance smart air purifier that measures 12 x 10.7 x 8 inches and weights 7.5 pounds. As we can see from the images, the air purifier shows off a portable and smooth appearance that allows it to blend well with your interior decoration, and the aluminum frame and base not only deliver a strong and lightweight construction, but also add more modern aesthetics to the air purifier. The Sprimo features two modes of operation including personal mode and turbo mode. 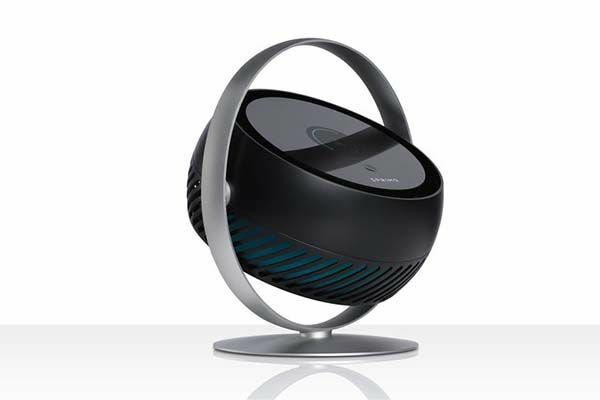 In personal mode, the air purifier forms the bubble of fresh air that surrounds you. In turbo mode, the Sprimo’s body faces up and its fan is turned on full blast, so the purifier air collides with the aluminum handle in order to diffuse the air throughout your room. Furthermore, as s smart air purifier, the Sprima also features five built-in sensors that monitor temperature, humidity, CO2, VOCs, and PM2.5, so it’s capable of collecting indoor air data and delivering fresh and clean air based on your specific needs and preference. Moreover, using its custom app, you can check all your indoor air info on your smartphone. In addition, its filter is recyclable and can be replaced by one hand.